When a problem occurs in our laptop or desktop, our whole life gets affected badly. This is primarily because such handy digital machines, as laptops and desktops have become very integral to our modern day life and since such devices are pretty delicate in design, we need some well-known and certified experts and qualified engineers to put their hands onto these, when the need for computer and laptop repair or computer repair in Delhi or computer support in Delhi is needed. At this juncture, we feel proud to announce that we are a reputed PC support company in Delhi widely known by our prestigious business name Friday Informatics (known as best laptop service repair company in Delhi).We are a team of supreme tech experts with a massive experience in computer and laptop repair, computer repair in Delhi or when anyone looks for proficient computer and PC support in Delhi. Set-up in 2008, we have won hearts all across Delhi NCR in these many years while serving the tech savvy with passion and extreme professional diligence. Diagnosing a computer or laptop is simply moments away and on the back of our huge experience, we have evolved ourselves with towering expertise needed for computer and laptop repair. Data Recovery Service: As most of us remain glued to internet for our professional and personal work, virus attacks occur on usual basis. In some cases, viruses and malware are so harmful that our data is lost or our system is hacked by some third party that is invisible with nasty intent. Hence in such cases also, we render proficient data recovery service in Delhi with ease and sophistication and also build safety walls inside your system so as to secure it against any harmful attack. We are also open to extend annual service and maintenance contract to corporate and individuals and help and assistance will be right there, when the time calls for, with the promise to serve with dedicated professional integrity. We make best use of available tools and utility software and can mend any troubling digital machine, be it laptop or desktop, in a matter of minutes. Likewise, remote assistance in the form of troubleshooting or onsite tech support or the service of onsite computer repair in Delhi, is also available and our experienced tech gurus are men of repute in this field. 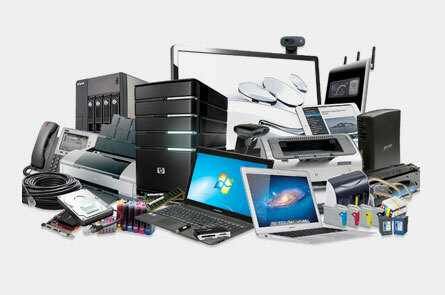 Lenovo, Dell, Toshiba printers, HP notebooks, Mac Notebooks, Apple etc. In short, we are just a one stop destination for all your laptop and computer repair needs or for networking consultation, with proficiency etched into every component that we install. Disclaimer : fridayinformatics.com is a Private Technical Service Provider. We are independent and not connected with any of the proprietary or intellectual property shown in this site. We make no claims of property rights to logos, brand names, trademarks, images or anything implying an infringement to misrepresent the property of others. We are solely providing facts about what products we offer maintenance or repair. We make no claims of ownership or connection with products we service. We do not receive neither compensation, nor make claims to any exclusive rights providing service for these products. COPYRIGHT © 2016, FRIDAY INFORMATICS. ALL RIGHTS RESERVED.